I went to Bhendi Bazaar recently with Freni, walking through the areas surrounding Minara Masjid. We were looking for Shaar Harahamim, the oldest Jewish synagogue in the city. 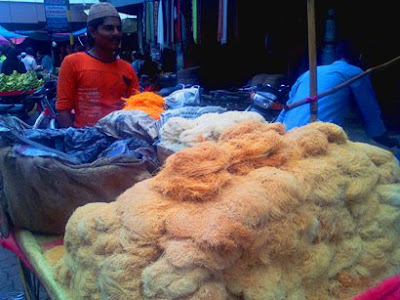 It was Ramzan, and everywhere there were interesting stalls selling all sorts of things. This is seviyan, right? Is it for kheer? I was starving, and it was lunch time...then I realised everyone around me was fasting! Normally, I can't stand being hungry, it gives me a migraine...but when I thought about everyone else I saw, and realised they would all not eat until the evening iftar, it gave me the backbone to walk further. In all my 40 years, I have never been to this side of the city, so everything was new and interesting to me. I photographed an old building, Dawoodbhoy Fazalbhoy School (the Trust provides scholarships for Muslims to study abroad). 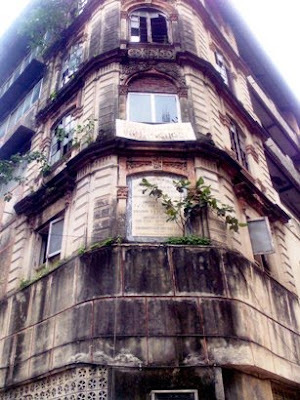 I wondered who the Fazalbhoy family was, and what their history is...perhaps they are one of the early trading families that came to the city of Bombay under the British. Or maybe someone in shipping? Are they Memons? This is the sort of history I'm always curious about, so if any of you know, then do post a comment! Eventually, we found ourselves on Samuel Street. I spotted a bhelwala, and gave up on starving myself. So munching sukha-bhel, Freni and I strolled on, chatting, peering through side lanes, looking at old homes, small trading shops, enjoying the bazaar buzz that is very typical of old Bombay. I'm addicted to this sort of thing, and Freni is so wonderful to walk with...sigh...everyone should have a friend like that! After about 30 minutes, we finally came to a little door, painted blue, with the sign we were looking for - the Star of David! Shaar Harahamin, The Gate of Mercy. In Marathi, it is Dayeche Dwar. Entry to the synagogue is through a still smaller side door, the sort that you have to bend to enter. Exterior view of synagogue with smaller side-door. On the higher floor is the ladies gallery. We went inside, and found the old caretaker, who gave us a wonderful tour of the place in Marathi. This is a Bene-Israeli synagogue. Freni chatting with the caretaker. The Bene Israel are the oldest Jewish community in India. Their ancestors were shipwrecked and washed ashore the Konkan coast, south of Bombay. The survivors - seven men and seven women - buried their dead in a site near the village Nawgaon, which later became the Bene Israel cemetery. The survivors were offered shelter by the local inhabitants and decided to settle permanently in the Konkan villages. They adopted Hindu names similar to their Biblical first names, but became known by their “-kar” surnames, which indicated the village in which they lived in, or sometimes, their occupation. So for me, the most fascinating thing about the synagogue were the name boards!! What an interesting collection of first names and surnames! Moses Talegawkar, from Talegaon of course! The synagogue itself is very quaint. I loved the old mezzuzah that was affixed to the doorway, and the beautifully carved door that housed the Torah. The furniture is all old wood, and the benches are solid, with no nails. I tried to move a bench, but it was too heavy. The gallery for women is separate, on the first floor, and there are steps on the outside that you can use to go upstairs. The caretaker told us some interesting tales, and explained his daily routine. I found it very interesting that the lamps in this synagogue are lit with coconut oil. And he showed us how he makes the lamps and places the wicks. If you are anywhere near Bhendi Bazaar, I would recommend going to this synagogue, for a glimpse of an interesting community that has played an important role in Bombay's history. On the Mumbai Magic Jewish Heritage Tour, my guides have been taking people to this synagogue. But I wanted to see it for myself, and I'm glad I did! It's a very interesting piece on the Jewish community. How many people (Bene Israelis) visit the synagogue in a week? Sadia Shepard's book- The Girl from Foreign, mentions this very synagogue in addtion to a couple others. The book is about her journey through Maharashtra trying to locate her ancestors place of origin. Seen it's exterior though I could not enter inside since it was closed that day. Maybe another time. But I've been inside the Kenneth Eliyahoo Synagogue at Fort many times. there is a rumor that one of the 12jewish tribes have been missing - may be this is where the ones who surived the ship wrecked landed..
We had a Miss Kolatkar when I was a kid in school - Maharashtrian I thought, but she was Jewish. This piece explained it all. I bet the process of placing the wick is perfected and does not allow the oil to spread out and form large puddles around the lamp. 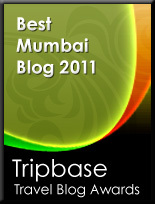 Hi Deepa, on your advice I have started a blog on the same site. Great article and some great pics. I've been planning to start a photo blog. Initially I thought of keeping it limited to pics only. But, after reading and going through this blog, I've decided to make it similar to this blog i.e. photos along with description and/or other write-up. 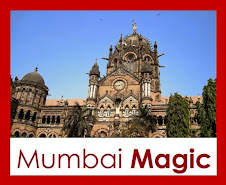 A tour like this one sounds like the best way to get acquainted with Mumbai. 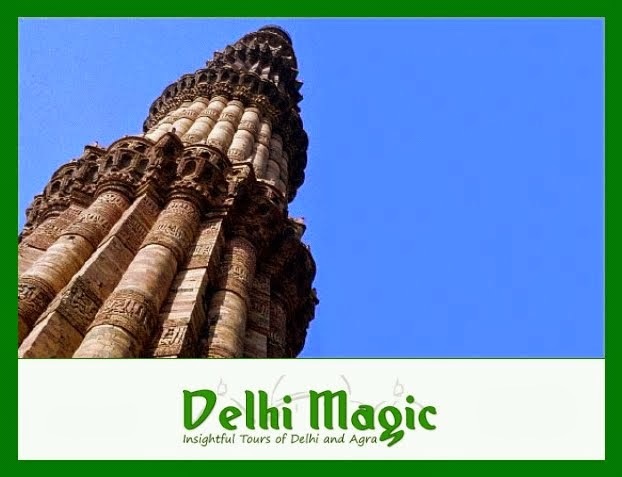 I was born and brought up in Mumbai but I have never been to this place(actually not only this but now I realise there are many more..) Next time I come to Mumbai, I will definitely visit this place. BTW, I love everything that all three of you write. It's fantastic. All the best to you! Some years back I visited the Magen David synagogue near JJ Hospital with a Jewish friend from UK. Incidentally we know the family behind the Dawood Fazal Truest and the fantastic work they have and are still doing, shall shortly revert with details and contact details if you are still interested. The synagogues in Bombay (and in India) are mostly decaying and falling apart because the community itself has dwindled to a dead end ( literally -). Metropolitan Cleveland, Ohio is not quite a booming area, compared to say, Chicago, but the jewish community is doing very well, thank you, and the modern synagogues are a wonder to behold. The architecture is trend setting, iconoclastic and awe-spiring ( which indeed, as a house of God, it should be - ). The Maltz museum on Judaism and Jewish History, is also located here. My sincere and cordial best wishes on your continuing enterprise. Does anyone have a picture of Keneseth Eliyahoo, Magan David, and/or Tiphereph Synagogues? I have visited them, but now am confused about which temples go with which photos. It's the first photo on the left. A pretty pale blue building with a tall entrance. The second photo in the same page is the interior of Kenneseth Eliyahoo. This synagogue near Rhythm House is currently a bright blue. I haven't been to Tippereth in a while, so don't know what colour it is now. When I last went it was a cream-yellow I think, can't remember correctly.